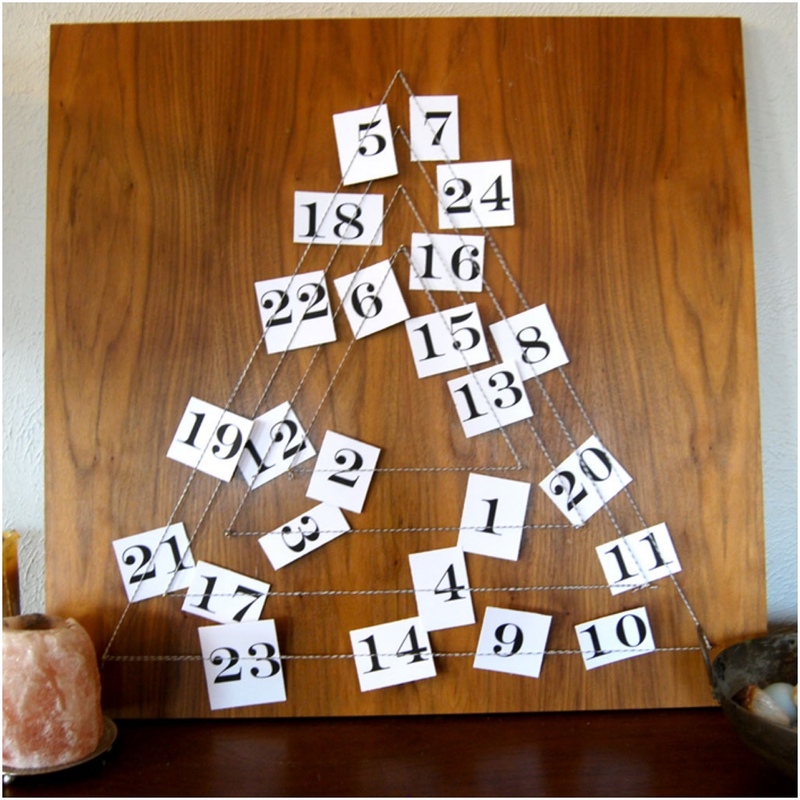 every december, when i was a child, my mother had a simple but beautiful advent calendar. i can’t remember it exactly but i do recall a wood one, where behind each intricate door were nice chocolates that my mother would have picked out. as exciting for her as for my brother and i. mama, please correct me here. either way, each day of december, our little family of four would open the number of the corresponding day and have a treat. simple as that. jp’s family had a different activity every night for advent. his mother, he recalls, planned items and outings and foods for the whole family to partake in each day leading up to advent. he doesn’t remember the advent calendar. i’d like a mix of both; simplicity and surprise. with our little family, each holiday i feel this intense urge to create our own powerdriver traditions. ramona is still young and, essentially, oblivious. but soon she won’t be. and she’ll be excited about the little things our family does each year. so last year i made stockings and this year i made an advent calendar. bc i wanted to take the tradition of my mother’s thoughtful and beautifully made advent calendar and jp’s mother’s tradition of nightly activities based on what was opened each day of advent. ramona won’t care much for the advent calendar i made. at least not this year. and she won’t care much for the activities, except for the hot cocoa. at least not this year. but they’ll be there. the traditions. at least the start of them. and my humble attempts at making our little family our own. this year i made a simple, modern advent calendar based on the tutorial from weekday carnival. jp helped me diagram the triangles on a piece of wood that we had initially planned to use for our bathroom vanity. 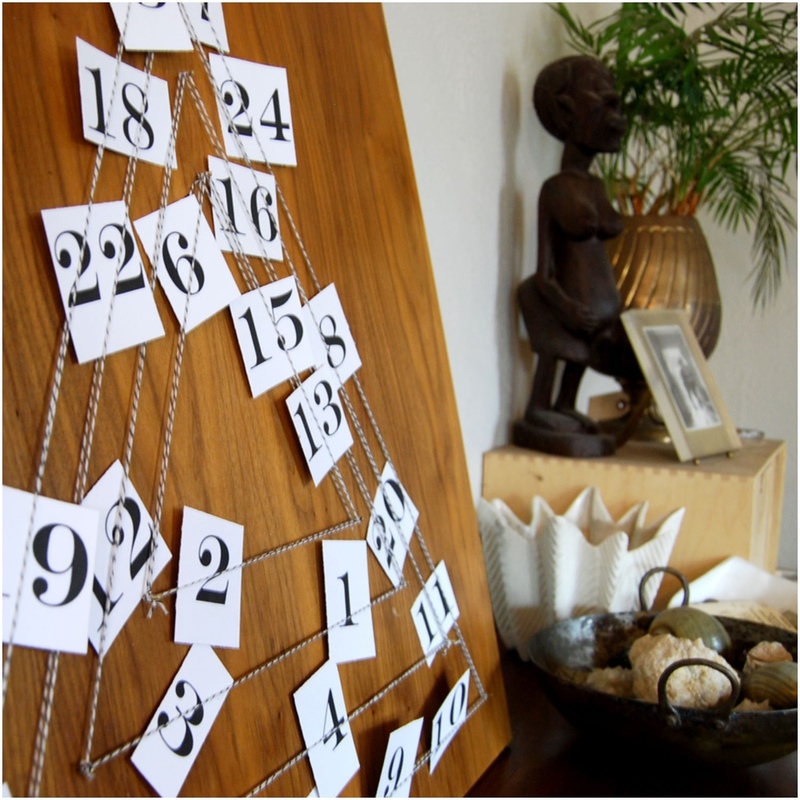 i used gold nails, fancy black & white twine, and numbers printed on heavy cardstock. (my strings weren’t all as taut as i would like so, if you try this for yourself, make sure you pull your strings tight and double twist at every nail). decorate house for christmas (it’s small so we only need an hour! buy new toothbrushes for the family! make an egg nog cocktail. egg nog for the little ones. here are other posts i used that have additional festive ideas for how to celebrate the days leading up to the 25th. need ideas for christmas gifts? don’t forget about my giveaway from artifact uprising. leave a comment on this post to be entered to win. I love this! So chic and hardly take up any room! 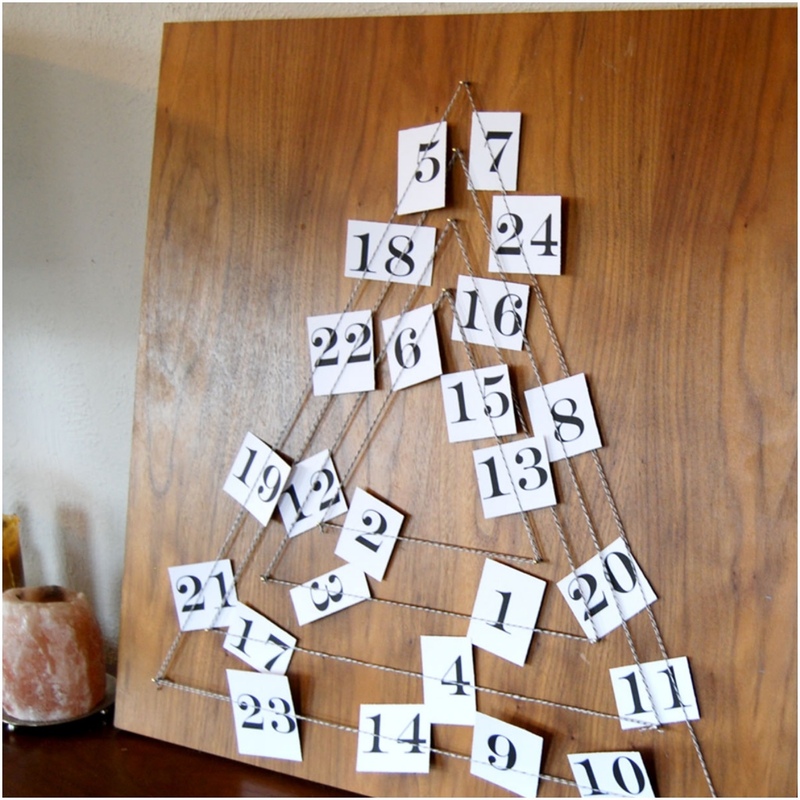 I’ve been seeing tons of awesome advent calender ideas on Pinterest but this is by far my fave! I LOVE this idea. It is really meaningful and such a great tradition to begin. Also, such great activities to look forward to each night as a family. I’ve struggled this year with this intense desire to create our own family traditions centered around the holidays but, since my husband and I are both atheists, it’s hard to justify celebrating Christmas for its true meaning. So, we’ll take this year off and then, next year, start creating memories and traditions around love, family, giving, and remembering. And hot chocolate and egg nog! briana, i totally understand and appreciate your concern about being genuine in celebrating the season, faithful or not. there are definitely many christ-oriented traditions during december but there are many that aren’t! and what fun for your family to adopt these, tweak them, and make them yours. have fun exploring!